What is New Shell lobster? Learn about Maine’s sweetest season. 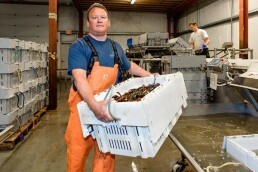 New shell lobster season is one of our favorite times of year in the Maine food business. For our company, it means a peak of activity of buying, selling and shipping lobster around the world. For our industry, this harvest represents a huge economic driver along the coast. Fastest growing company in Maine! With a nearly 72% growth rate, Maine Coast has been named fastest growing medium-sized business of the year. 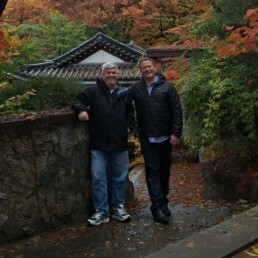 Come see us in Busan, Taiwan or Qingdao! 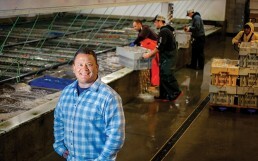 Since founding his York-based lobster startup company Maine Coast in 2011, Tom Adams has achieved an enviable record of yearly double-digit growth. 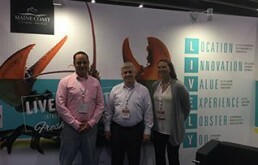 So far, 2016 has included an operations expansion to Boston, additional staff hires, increased lobster volume and more customers in new markets. Lobster exports from Maine are up 113% YTD. 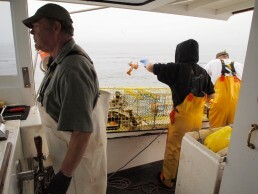 What does this mean for Maine Coast and the lobster industry? 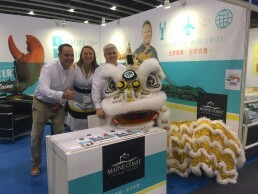 York-based Maine Coast just returned from Seafood Expo Asia, where business is booming. To date, the company has surpassed its 2015 annual sales to Asia.